I’ll bet you’d love a piece of this gluten free lasagna… I mean, how could you not? It looks quite tasty. Now for those who know that I’m not a fan of eating lots of rice pasta, I’ve come to discover that not only can you easily make a lasagna that’s grain free and paleo, but you can also nix the dairy too! Heck, you could make it totally vegan as well if that works best for you. And that’s what I love about today’s recipe… it’s flexibility to accommodate different diets and do so without tasting like bunk. If lasagna was a part of your family traditions just as it was mine growing up in an Italian family, there’s always a way to recreate some of these items no matter what you’re sensitive to. That’s why I asked today’s guest to share her recipe with you because… well, the picture speaks for itself. This would pair well with my Grilled Veggie Salad and a yummy chocolate truffle pudding pie! This Italian favorite is perfect for a delicious Sunday dinner with the family or something special to serve for a holiday meal. It’s a crowd pleasure and the recipe below reflect the various ways that you can make it to suite your health needs and dietary preferences. Oh, and when I say “dairy free,” I don’t mean that you’ll use fake cheese loaded with soy. Keep on reading to see what my friend and today’s guest from PrepDish.com Allison Schaaf has created to wow your family and fill the void of the more traditional italian family favorites. There is one dish that I make that always gets rave reviews- gluten free lasagna. I personally love lasagna as it is easy to prep-ahead AND no one can ever tell that it’s gluten-free. The flexibility of a lasagna recipe makes it easy to adapt which is why it’s one of my go-to recipes for dinner parties, especially when I’m not certain if anyone has any dietary restrictions. I’ll typically make one pan vegetarian and the other with meat. Keep in mind that you can easily substitute any ground meat for the beef in the recipe below such as turkey, bison, chicken or even sausage. But if you’d like to entirely eliminate meat, you can add in more vegetables to make a veggie gluten free lasagna. If you’d prefer to substitute the traditional gluten free rice noodles, I’ve shared below how you can eliminate them and use vegetable “noodles” instead which would make this recipe paleo, grain free and even low carb. If dairy’s an issue, there’s an easy swap for that too! The dairy in this gluten-free lasagna recipe can easily be omitted or replaced with cashew cheese which I’ve included below for those who still want to enjoy a creamy lasagna! 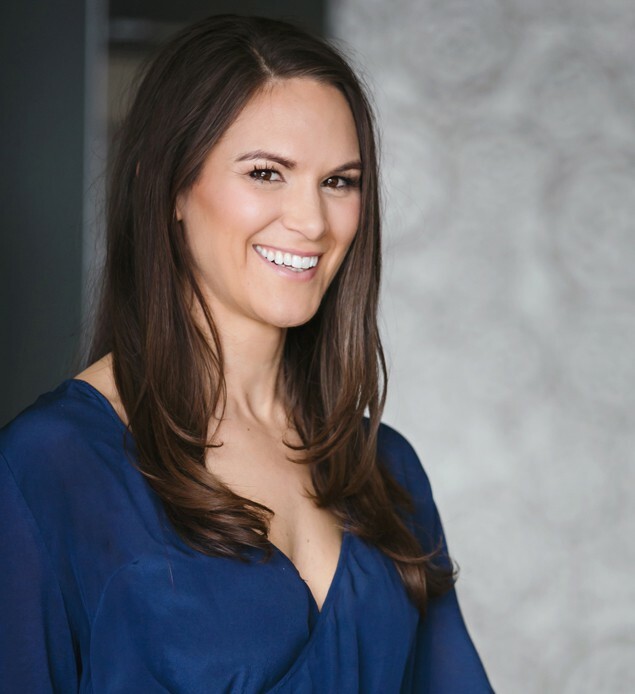 About the Guest Author: Allison Schaaf is a Chef, Registered Dietitian, and Founder of the meal planning site PrepDish.com. Through Prep Dish, Allison keeps families happy and well-fed by sending them weekly emails containing a downloadable meal plan, corresponding grocery list, and step-by-step instructions to prep all of the meals for that week in only 2 to 3 hours! You can opt for gluten free or paleo versions of the meal plan. This deliciously versatile Italian classic can be made gluten-free, grain-free, paleo, and even vegan. Enjoy it for a lazy Sunday dinner with the family, a dinner party, or as part of a holiday meal. Slice eggplant or zucchini thinly, longways, with a mandolin if you have one, or use a knife carefully, making long planks. Place on a sheet pan in a single layer and drizzle with 1 tbsp olive oil and season lightly w/ salt & pepper. Roast veggies until cooked and lightly brown for about 10 minutes. Meanwhile, sauté chopped onion, sliced mushrooms & ground beef over medium-high heat and breaking apart ground meat. Cook 8-10 minutes or until meat is browned. Add the entire jar marinara sauce and baby spinach and stir to combine. Add lid and cook 2-3 minutes or until spinach as wilted. Bake 375 F for about 40-50 minutes until bubbly and cheese is melted. Soak cashews in water for about 20 minutes. Blend the mixture until smooth, adding additional water as needed for a spreadable consistency. Option 1: Omit the yogurt & mozzarella cheese. Option 2: Replace the yogurt & mozzarella cheese with cashew cheese. Replace the lasagna noodles with zucchini and/or eggplant noodles. Omit the cheese OR make a cashew cheese (see recipe, above).